A popular digital television provider in Kenya includes Chinese state channels in its most affordable package, while omitting international news outlets. Portuguese television launches a primetime “China Hour” consisting of content produced by Chinese state media. A Taiwanese businessman is arrested in Thailand over radio broadcasts that are critical of China. And a partly Chinese-owned South African newspaper abruptly cancels a regular column after it addresses repression in Xinjiang. A July Financial Times analysis of Chinese state media content in diaspora Chinese outlets found a sharp uptick in the number of agreements signed in 2016-17 compared with previous years, reaching a total of over 200 publications. 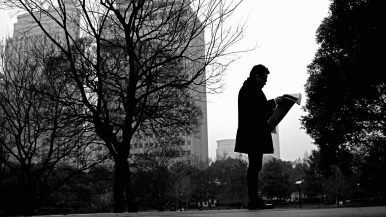 A five-month investigation published by the Guardian last week found examples of China Daily’s “China Watch” advertorial supplement in publications across 30 countries. The research also indicates that the number of radio stations carrying China Radio International programming has grown from 33 stations in 14 countries in 2015 to 58 stations in 35 countries today. As part of its Belt and Road Initiative, Beijing hosted a journalists’ forum in June that was attended by almost 100 media representatives from 47 countries. The event sponsor, the state-affiliated All-China Journalists Association, was then tasked with establishing a permanent secretariat for the forum and drafting rules for a Belt and Road journalists’ alliance. According to Chen Pokong, a democracy advocate and observer of Chinese media in the United States, Chinese diplomats are also “more actively interfering” in the editorial decisions of certain American Chinese media and behaving in a “more arrogant, more aggressive” manner. The Financial Times investigation found that many businesses in the Chinese community, facing direct or indirect pressure from consular officials, are reluctant to advertise with outlets that take a more critical stance toward the Chinese government. China scholar Anne-Marie Brady once warned that Communist Party officials could shift from merely “borrowing the boat” to “buying the boat,” meaning direct acquisitions of foreign media outlets. Indeed, Chinese state entities and friendly tycoons have sought to purchase mainstream media companies outside mainland China in recent years. Chinese tech billionaire and CCP member Jack Ma bought Hong Kong’s South China Morning Post in late 2015, and several incidents in 2018 reinforced concerns that the purchase has reduced the paper’s independence, including Chinese officials’ unexpected appearance at an editorial meeting in August. In South Africa, two companies with ties to the Chinese regime purchased a 20 percent stake in the second-largest media group in 2013, and in 2018 the group suddenly canceled commentator Azad Essa’s weekly column after he wrote about the mass detention of Muslims in Xinjiang. Chinese companies have also been active in building infrastructure and content delivery systems abroad. This has been especially evident in Africa, where the Chinese television distribution firm StarTimes has become a key player in the continent’s transition from analog to digital, accruing over 10 million subscribers in 30 countries and gaining the power to determine which stations those viewers are able to access. Although privately owned, StarTimes has benefited from a close relationship with the Chinese government and occasional subsidies. It appears to have prioritized Chinese state media channels in its package offerings, at the expense of independent international news stations. In Kenya, Uganda, and Nigeria, for example, television packages that include channels like BBC World Service cost more than basic versions with local channels and Chinese state media. In 2018, StarTimes’ efforts to expand its business to Ghana encountered opposition from the local broadcasters’ association due to concerns about its impact on viewers’ programming choices. In his speeches, Chinese President Xi Jinping has urged propaganda cadres to “use innovative outreach methods,” and they appear to be complying. For example, Chinese state media outlets have become very active on social networks that are, ironically, blocked in China itself. Facebook emerged as a particular favorite in 2018. The full array of Chinese state-run outlets have Facebook accounts, with some managing multiple pages organized by language and geographic location. Each of the main accounts has garnered tens of millions of followers. The television network CGTN’s English account alone has 71 million followers — the largest for any news outlet on Facebook — of which 46 million have been added since May 2016. Three of the top 10 media accounts on Facebook are Chinese state outlets. Four of the five fastest-growing media pages on the platform also belong to Chinese state-run outlets: Xinhua news agency, Global Times, CGTN, and People’s Daily. This is despite the fact that the four, and People’s Daily in particular, are known for having relatively tedious content, raising suspicions that many of the accounts’ followers are fake. The outlets do, however, also run frequent ads on Facebook in a bid to recruit authentic fans from around the world. Most major Chinese state media offer mobile phone applications in English, and some have taken unusual steps to expand the reach of their content. China Daily’s app in Apple’s application store awards users “points” for reading, liking, and sharing its articles, which can subsequently be used to purchase goods online. Beijing’s foreign propaganda and censorship efforts have traditionally focused on promoting China’s political and economic system while suppressing coverage of its domestic human rights abuses and religious persecution. But the Chinese government and its proxies are now also attempting to tilt other countries’ internal debates about their relationships with China, including by suppressing criticism of Chinese activities within their borders. This year, Chinese Australians filed defamation suits against two media companies over an investigative documentary examining the Chinese Communist Party’s political influence in the country, and policymakers raised concerns that the cases could have a chilling effect on future coverage of the topic. Media groups in Kenya, South Africa, and Argentina that have established a financial or otherwise cooperative relationship with Chinese state entities often feature uncritical, even fawning coverage of Chinese activities in their respective countries and regions. In September, the print edition of the Des Moines Register included a China Watch supplement whose content was more targeted and politicized than is typical for such inserts. In July, CGTN released a two-minute animated video about the impact of bilateral trade tensions on the U.S. soybean industry, concluding with the question, “Will voters [in the 2018 midterm elections] there turn out to support Trump and the Republicans once they get hit in the pocketbooks?” In Taiwan, several examples of “fake news” stories and doctored images that originated in China and tainted the reputation of the Taiwanese government have spread widely on social media and been picked up by television news stations over the past two years. Although their precise impact on local elections last month remain unclear, the ruling party disfavored by Beijing suffered a number of surprising losses. Prominent scholars involved in public discussions about Chinese influence have also been affected. In September, officials in Zambia, which depends on China for billions of dollars in loans, deported a respected Kenyan law professor who was set to give a presentation about Beijing’s activities in Africa. In New Zealand, apparent efforts to silence Anne-Marie Brady, a respected academic critic of Chinese influence operations in the country, have taken a particularly dangerous turn. Following suspicious burglaries at her home and office that police said were likely related to her work, Brady discovered last month that someone had tampered with the tires* on her car. As Beijing has expanded its aid and investment in foreign media sectors, it has tended to favor state-owned outlets over independent, private competitors, mirroring the media landscape within China. For example, Chinese government assistance in recent years has improved the transmission capacity of Zimbabwe’s state broadcaster, the digitization of Kaduna State Media Corporation in northern Nigeria, the reach of Liberia’s official radio station, and the production quality of Laos’s state-run television station. Separately, although China has long offered trainings for journalists, editors, and media officials from various parts of the world, the past two years have been characterized by a particularly large number of trainings for those focused on the online sphere. Research for Freedom House’s latest Freedom on the Net report found that Chinese officials had held “trainings and seminars on new media or information management with representatives from 36 out of the 65 countries” covered in the annual survey of global internet freedom. However, there are limits to Beijing’s influence. Independent news outlets around the world regularly generate coverage that the CCP would find objectionable, as with reporting this year on the mass detention of Muslims in Xinjiang. The relatively equal playing field of the internet has enabled alternatives to pro-Beijing news outlets — from the New York Times, to Hong Kong Free Press to New Tang Dynasty TV — to make important gains in disseminating their content within China and abroad. Meanwhile, many journalists and readers from countries with a free press remain skeptical of state-controlled content, the precise reason why Chinese state media use various tactics to obfuscate the origin of the information they deliver to global audiences. In the policy sphere, the past year has been a watershed for increased awareness of China’s foreign influence operations and the potential risks of allowing such activities to go unchecked. Both governments and civil society actors have mobilized to more critically examine Beijing’s media engagement and investment practices. This trend has come amid broader skepticism — and even rejection — of some Chinese infrastructure aid in the context of the Belt and Road Initiative. Many governments, including democracies, engage in vigorous public diplomacy campaigns, but the Chinese Communist Party’s methods are frequently covert, coercive, and harmful to democratic institutions. Moreover, many of the same tactics used to interfere with news coverage and political debate are being applied to sectors like education, the arts, and the entertainment industry. It is therefore imperative that in 2019 open societies enhance efforts to protect themselves by developing policies and legislation to increase transparency, punish improper activities by Chinese officials on their soil, and insulate independent media from direct or indirect Chinese pressure. *An earlier version of this article mistakenly said the brakes on Brady’s car had been tampered with. What Will the World Give up to Share China's 'Common Destiny'?China’s Crisis of OverconfidenceHow to Respond to Beijing’s Growing Influence AbroadWhat China Wants You to Think About US-China RelationsThe US Is Pushing Back Against China. What Happens If We Succeed?